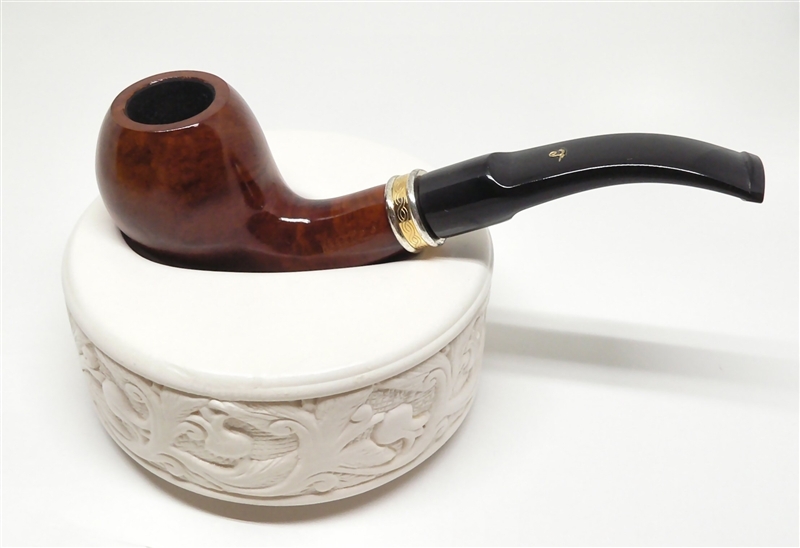 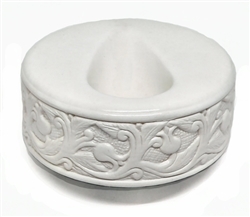 Hand Carved Floral Meerschaum Pipe Rest - Decorative floral pattern circles the outside of this solid meerschaum pipe rest. 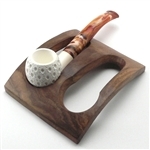 Acts as a safe place to lay your pipe to cool leaving it in an upright position to avoid ashes or tobacco from spilling. It is also an attractive accent piece to your table.